A new CNN poll from earlier this week shows a whopping 71 percent of the country believes the economy is doing really well. Overall, 71% say the nation’s economy is in good shape, the highest share to say so since February 2001, and the best rating during Trump’s presidency by two points. A majority give the President positive reviews for his handling of the nation’s economy (51% approve), and his overall approval rating has ticked up to 42% in the new poll. The 51% who say they disapprove of the President’s job performance overall represent the lowest share to do so in CNN polling since the start of his presidency. If the election were held today, he’d likely ride to a second term in a huge landslide, according to multiple economic models with strong track records of picking presidential winners and losses. Credit a strong U.S. economy featuring low unemployment, rising wages and low gas prices — along with the historic advantage held by incumbent presidents. Yale economist Ray Fair, who pioneered this kind of modeling, also shows Trump winning by a fair margin in 2020 based on the economy and the advantage of incumbency. “Even if you have a mediocre but not great economy — and that’s more or less consensus for between now and the election — that has a Trump victory and by a not-trivial margin,” winning 54 percent of the popular vote to 46 for the Democrat, he said. Fair’s model also predicted a Trump win in 2016 though it missed on Trump’s share of the popular vote. 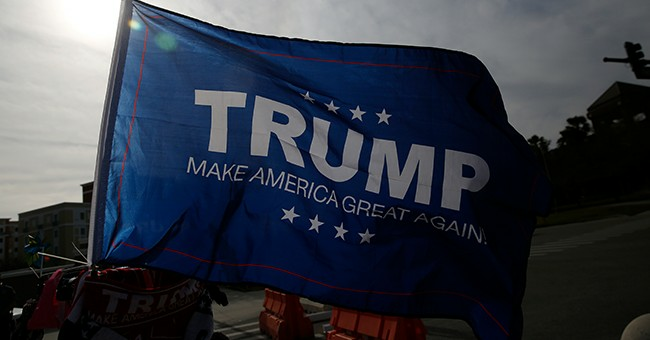 Trump campaign manager Brad Pascale sat down with CNN recently to talk about 2020 strategy and messaging, which strongly emphases the economy.